I’ve had so many entrepreneurs come to me after they’ve bought course after course and program after program, but NEVER launched their online course into the market. Others had launched their course once or twice but didn’t get the results they wanted and scared to take the next step. After speaking with these entrepreneurs, I found that there were several mindset blocks holding them back. 1. Am I charging too much for my online course? I think It’s too expensive, that’s why people won’t buy it. My advice: Don’t undervalue your course just because you ASSUME someone else cannot afford it. Remember that people will pay you to get the transformation they need. 2. They were waiting for the perfect time to launch their online course. My advice: There’s never a right time and your online course launch will never be perfect. I’ve found that you only learn by taking action. Launch your course and then tweak as needed by reviewing the data and feedback. 3. Should I do X first (like write a book) to build my expertise in the market and then launch my course? My advice: Don’t get sidetracked by the next shiny object. Want to publish a book, but haven’t gotten your paid offer into the market yet? Focus on what will make you money and sustain your business and family. Then, when the time is right, continue to work on your other goals like writing your book. 4. I’m scared no one will buy my online course. My advice: Almost everyone has the fear of failure. We think of the embarrassment of low or no online course sales. What’s the worst that can happen? The reality is you’ll have a few course sales and will be able to review your data and figure out what do improve upon in your next launch. To overcome these mindset blocks, there are several things you can do to keep moving forward and squash any fear you have about launching your course. Let’s make this actionable! What are your online course goals for this year? 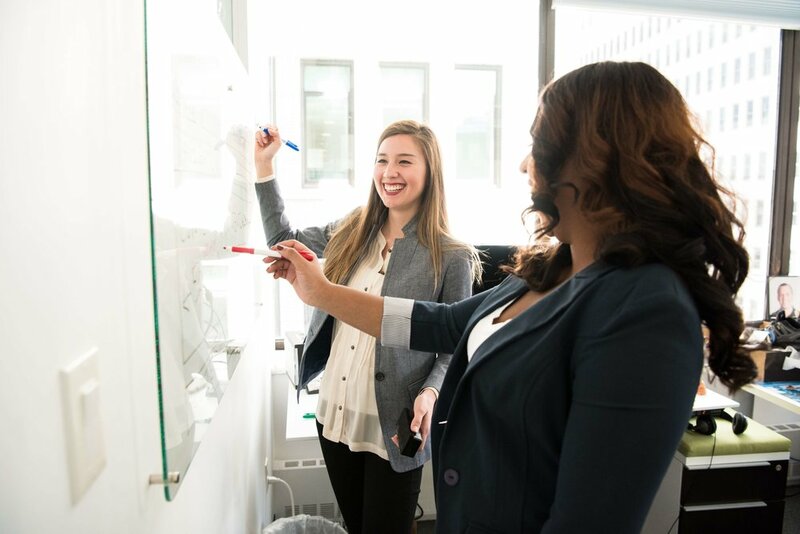 A goal is anything that moves your business forward from status quo, meaning that you want to go from Point A where you are today to Point B where you want to be in the future. 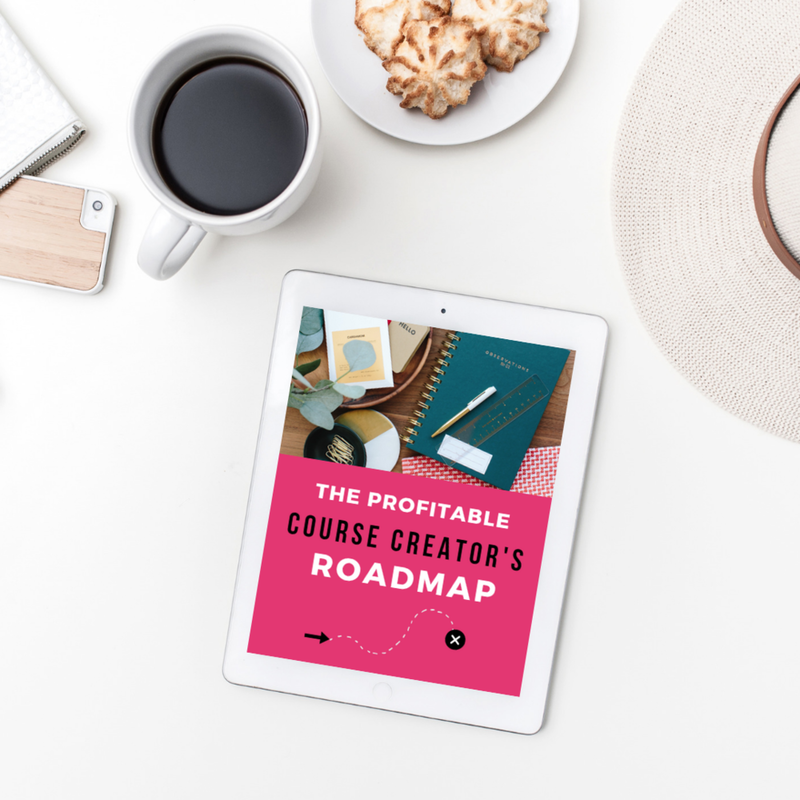 It can be a revenue goal, enrolled student goal, launch your online course by x date, or putting your online course in an evergreen sales funnel. GOAL: I want to make $10K per month through my evergreen online course sales funnel. By running the numbers, you know that you need 10 new students enrolled each month for your online course which cost $1K. When you set a goal like this immediately your brain will start telling you why it won’t work. What you’re hearing are obstacle thoughts. Obstacle thoughts are anything that produces a block to keep you from meeting your goal. Step 1: Write down your obstacle thoughts. When your mind starts producing these thoughts, I want you listen. Listen to what your mind is telling and write them down. Why? You are going to use this list to turn them into strategies to help you achieve your goal of $10K revenue per month from your online course. Your brain may say, I don’t know how to find 10 students per month. Or, I don’t know how to do a webinar. Or, I don’t know how to set up my sales funnel. Or, I’ve tried Facebook ads in the past and they didn’t work. Or, I don’t feel comfortable transitioning to my sales pitch during my webinar and asking for the sale. Get the point? Step 2: Next, translate your obstacle thoughts into goals. You achieve goals by overcoming obstacles. First, think about what do I need to do to overcome the obstacles. This is when the obstacles become strategies. I don’t trust Facebook ads to gain leads, therefore, I don’t believe I can find enough prospects for my sales funnel. I don’t feel comfortable with doing a live webinar and transitioning to a sales pitch at the end makes me feel icky. I don’t know how to audit my sales funnel to figure out what’s working and what’s not working. Improve your knowledge of Facebook ads. Improve your data analysis skills for your sales funnel. Step 3: Write down the actions you will take and make them measurable. Your tactics: Search for a program/coach/course that helps you really understand how to run Facebook ads so they convert. Or test a few Facebook ads and tweak until you find some that convert. Or review the ads of your competitors that are converting well and modify for your business / online course. Launch your Facebook ads by x date. Your tactics: Practice, practice, practices on friends, family, your pet! Find a program that helps you structure your webinar, so it doesn’t feel icky or salesy. Launch your webinar by x date. Your tactics: Review blogs posts, podcast and any free resources. Talk to friends. Invest in a program that walks you through how to audit and tweak your sales funnel. Conduct a sales funnel audit by x date and make any necessary improvements by x date. What’s so magical about this process? You’re learning along the way. Achieving your goals is all about self-improvement. It’s the process of growing, learning, and moving your business from Point A to Point B.